Medical malpractice can cause real harm to people, potentially resulting in permanent – if not fatal – health complications. Despite this fact, however, medical malpractice and the cases that stem from it have become a controversial topic in the U.S., particularly in light of pushes from insurance companies and politicians to limit damages for malpractice cases, enact tort “reforms,” etc. These common medical malpractice myths have been debunked by various research, our Portland medical malpractice lawyers explain. Here are the facts behind the myths. Such controversy has led to a lot of misinformation about medical malpractice gaining traction and obscuring some of the real facts about this type of negligence and the civil cases associated with it. Securing compensation for your malpractice-related injuries and losses. 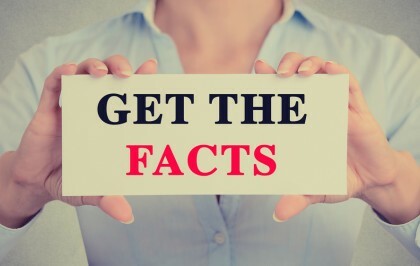 Have You Heard Any of these Medical Malpractice Myths? Myth 1 – Most medical malpractice lawsuits are frivolous. Fact – This is outright wrong. In fact, a study from the Harvard School of Public Health has found that, on average, about 97 percent of medical malpractice cases are merit based. 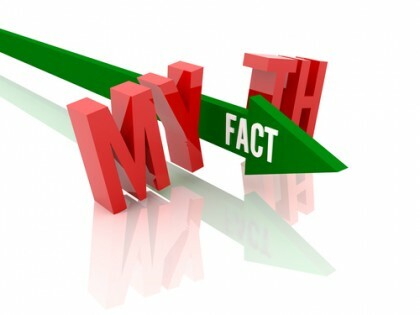 Myth 2 – Most medical malpractice cases are for minor injuries. Fact – Wrong again! Minor injuries are, in fact, rarely the subjects of medical malpractice cases, as studies have found that at least 4 in every 5 malpractice lawsuits filed are associated with claims of serious injuries and/or death. Myth 3 – Medical malpractice cases are usually pushed by money-hungry lawyers, and they don’t really target dangerous doctors. ‘Most med mal cases are started by greedy attorneys’ is a common malpractice myth. Our Portland medical malpractice lawyers explain why this is untrue. Only a small fraction of doctors are the targets of medical malpractice cases, often more than once – In fact, studies have shown that about 60 percent of medical negligence claims are associated with about 6 percent of the doctors in the U.S. What’s more is that, about 10 percent of the time, the doctors that are named as defendants in medical malpractice cases have been sued for malpractice at least once before. Myth 4 – In most cases, medical malpractice is not preventable. Surgery errors could be prevented by instituting better pre-surgery preparation procedures (to prevent wrong-site surgeries), improving methods for accounting for surgical tools (so they don’t get left in patients), etc. Medication errors could be prevented by improving communication between medical professionals (so that the right types and doses of medications are administered to patients), etc. Diagnostic errors could be prevented by taking more time with patients (to fully understand their symptoms), conducting more or better testing (to avoid misdiagnosis), etc. Additionally, research has suggested that close to 98,000 lives could be saved every year if better care was taken to prevent medical malpractice. Myth 5 – An increasing number of medical malpractice cases have been filed in recent years. Here, more common and dangerous myths about medical malpractice are dispelled by our experienced Portland medical malpractice lawyers. Contact us for help if you’ve been hurt by medical negligence. There has been an 8 percent decrease in medical malpractice filings over the past 17 or so years. While personal injury cases only comprise about 6 percent of the total caseload for the civil court system, medical negligence claims only make about 3 percent of these cases. In other words, medical malpractice cases only represent about 0.18 percent of the total caseload for the U.S. civil court system. Myth 6 – Medical malpractice lawsuits are increasing health care costs and are forcing physicians to stop practicing medicine. Defending physicians against medical negligence claims and compensating victims costs about $7.1 billion each year. This represents only 0.3 percent of the total U.S. healthcare costs. In contrast, the costs associated with preventable medical mistakes are more than quadruple those associated with medical negligence claims, as preventable medical errors cost $29 billion annually in the U.S.
Over the past decade, there has been an increase in the number of practicing physicians in the U.S., representing an all-time high for the nation. Myth 7 – Awards in medical malpractice cases are outrageous and out of control. Fact – Wrong again! Although people tend to hear about large medical malpractice awards, only about 0.5 percent of medical malpractice awards are $1 million or greater (and these are for cases associated with the most serious/fatal injuries). In fact, while some research has found that the average payout for a medical malpractice claim associated with serious/permanent injuries was between $215,000 and $315,000, a RAND study has reported that, over the past 40 or so years, the value of the awards has not grown/increased consistently with the value of real income. Here, it’s also important to note that, while hundreds of thousands of dollars for a malpractice award may seem substantial, these awards are generally intended to cover a lifetime of medical bills, lost income and other costs. 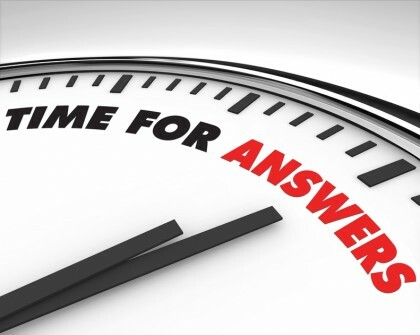 Have you been hurt by any type of medical negligence? If so, you can rely on the Portland medical malpractice lawyers at the Savage Law Firm for experienced help and aggressive legal advocacy. Since 1977, our lawyers have been devoted to providing each of our clients with personal attention, respect and the highest quality legal services. Helping you recover from the financial setbacks caused by medical malpractice is one of our primary goals. Our lawyers are here to aggressively defend your rights to both justice and compensation.